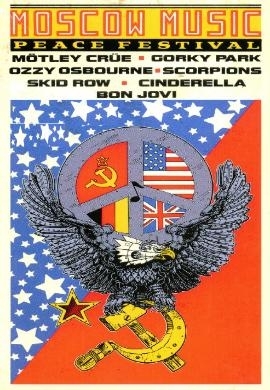 The concert was a one-time gathering to promote world peace and to rock against drugs & alcohol in Russia. The first full international rock festival, announced the new freedoms in the country and called "Russian Woodstock". It was broadcasting in 59 countries around the world. 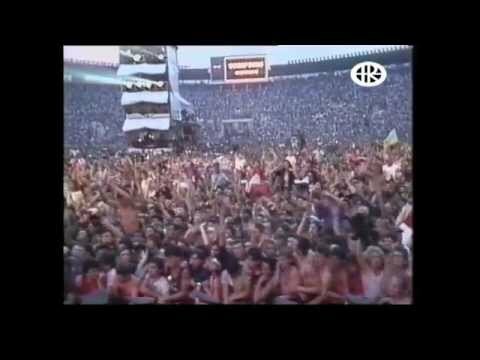 Moscow Music Peace Festival, 1989, directed by Wayne Isham. Ironically some bands later admitted much drug use during the event despite the anti-drug message. The venue is now called Luzhniki Stadium and home to the national football team of Russia.